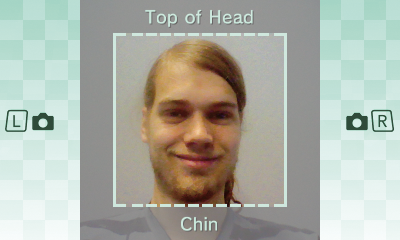 A Mii is a virtual version of yourself made by selecting your most striking facial features. This Mii appears in your Nintendo 3DS family system as a virtual "you" and can be controlled as the player character in several games. The Mii Maker lets you easily make a Mii by using the camera and you can adjust more features than ever before. You can register up to 100 Mii characters. 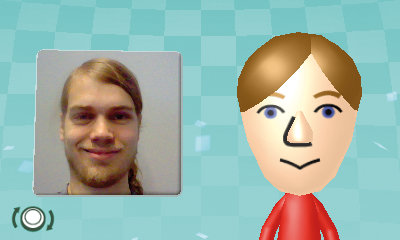 The easiest way to make a Mii is by using the camera. You don't have to worry about selecting the right facial features because all you have to do is choose a few basic settings to get started, then take a photo and let Mii Maker do the rest. Of course you can also make a Mii from scratch if you prefer! Ta-daa! Your Mii is ready when you are! 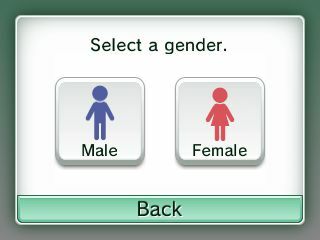 If you connect to other players using Mii Maker on Nintendo 3DS family systems or Wii U, you can send your Mii and receive those of others. 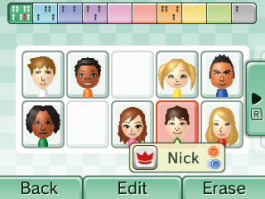 Additionally, you can also connect to the Mii Channel on a Wii console to transfer a Mii to your Nintendo 3DS family system. Please note that you cannot transfer a Mii from your Nintendo 3DS family system to the Mii Channel on a Wii console. Mii Maker makes it possible to save your Mii as an image or as a QR Code, which looks a bit like a bar code. Your Nintendo 3DS family system can read a Mii character's QR Code and make the Mii spring to life, fully formed in your Mii Maker. 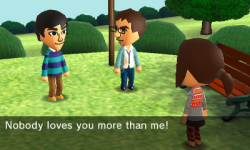 How about surprising other people by adding your Mii to your website or blog? You could even print it on a business card! A saved image or QR Code of a Mii can be saved on the SD Memory Card included with the system as .jpeg-format image data. A QR Code of a Mii can only be read by a Nintendo 3DS system. Please note that visuals will display in 2D on Nintendo 2DS.